The Kardashians are no strangers to Miami — they've filmed a couple of "Keeping Up With the Kardashians" spinoffs in South Beach — and that's why they easily took over the city where they celebrated the opening of a new Dash store. Kim, Khloe and Kourtney Kardashian, along with Kylie Jenner and Scott Disick, proudly attended their Dash boutique grand opening on March 12. Not only did the girls make sure their store was up to par before opening the doors, but they also made sure they stayed somewhere luxurious while in sunny Florida. Kim, Khloe, Kourtney, Kylie and Scott bunked up at the glitzy Casa Casuarina mansion, the former home of late fashion icon Gianni Versace. "Home for the next few days," Kylie wrote in the caption for a photo of the gold-tiled pool she posted on Instagram. Kourtney also posted a photo of herself in a gigantic bed, which looks like it could fit at least 10 people. In typical Kardashian fashion, the girls put the $41.5 million property to good use during their stay. On March 11, Kylie slipped into a formfitting bikini and snapped photos on the grounds. The following day, Kim tried on the same bikini, capturing the look in a selfie. "Yep stole Kylie's bikini...she's not getting it back," she wrote. Did we also mention there's a beach right across the street? 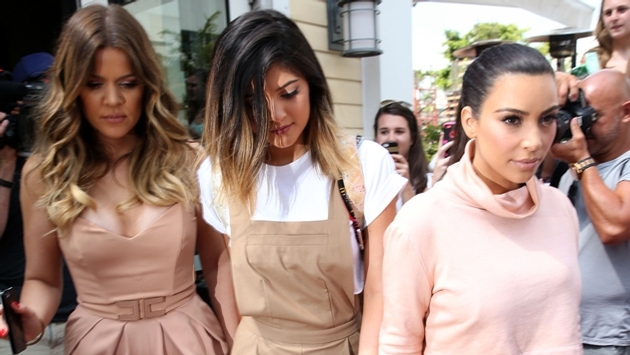 What do you think of the Kardashians staying in the Casa Casuarina mansion?